The CCSA’s member shops can be found in all areas of the UK and beyond. They are associated with a wide range of church buildings from great cathedrals to small parish churches – but all of them are worth discovering! Click on the area of the UK map opposite to find CCSA member shops in that area. The map has been split into different areas for ease of use. 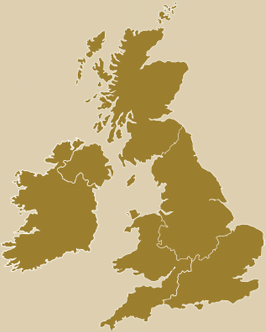 The South-east and Eastern England section encompasses members in Norfolk, Suffolk, Essex, Cambridgeshire, Bedfordshire, Hertfordshire, Buckinghamshire, Oxfordshire, Berkshire, Surrey, Kent, Sussex, Hampshire and the Isle of Wight, Wiltshire, Dorset and Greater London. South-west England and Wales section includes member shops in Gloucestershire, Herefordshire, Bristol and Somerset, Devon, Cornwall and the Welsh counties. English Midlands and North includes Lincolnshire, Nottinghamshire, Leicestershire, Northamptonshire, Warwickshire, Worcestershire, Shropshire, Cheshire, Derbyshire, Staffordshire, Yorkshire, Lancashire, Cumbria, County Durham, Northumberland and the metropolitan regions of Merseyside, Greater Manchester, Birmingham, Humberside, Leeds and Bradford and Tyneside. Scotland and Northern Ireland includes CCSA member shops in Scotland and Northern Ireland. The International link includes members in the Republic of Ireland, Canada and Hong Kong.